Kim joined Liu and Associates in January 2017. She attended Grant McEwan and the University of Alberta as a mature student where she received her BCOM in 2000. Kim’s passion has always been numbers; she has worked in the accounting industry for over 30 years in Toronto, Ottawa, and Edmonton. 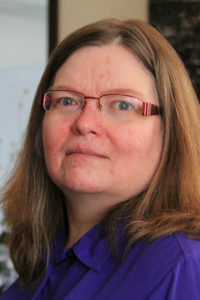 Since 2000 she has primarily worked in Public Practice in Edmonton. Kim was born in North Battleford, Saskatchewan and raised in Calgary, Alberta. Kim resides in Edmonton with her husband. Kim and John come from large families and have a grown daughter, son-in-law and two grandchildren. Having a large family Kim and John can be found traveling Alberta, British Columbia, Manitoba, and Ontario. When the weather permits, she and John can be found on their Harley but when it doesn’t, they enjoy their time playing board games.